Throughout my time blogging, as you can image I've seen a lot of reviews for beauty subscription boxes. 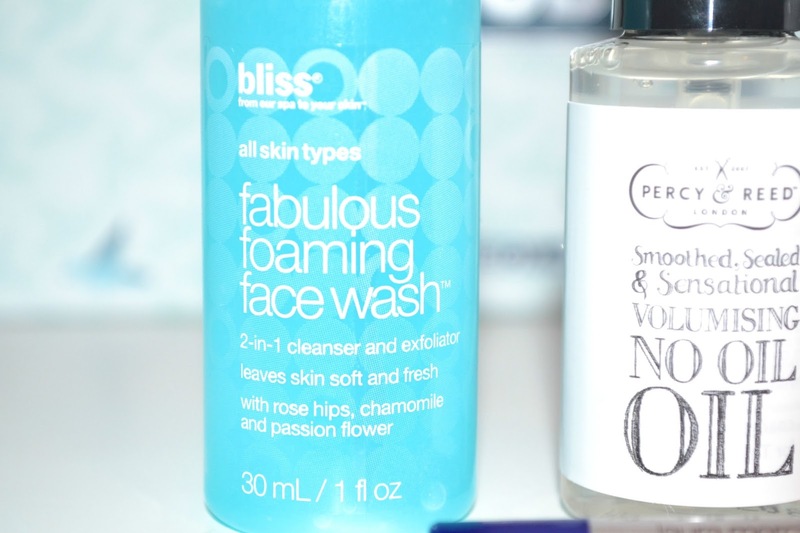 While opinions are usually a bit of a mixed bag month by month, one box that I find people are generally very positive about is Birchbox- and I'd definitely say that the samples tend to be a cut above what you'd find in other boxes. This month Birchbox released a royal themed box in anticipation of the second royal baby, with everyone receiving a blue or pink coloured box with an extra sample added in for good measure. This is my first ever Birchbox and I can honestly say I'm so impressed, not only are there some amazing samples here but the presentation and overall quality is faultless. Here's what I got! 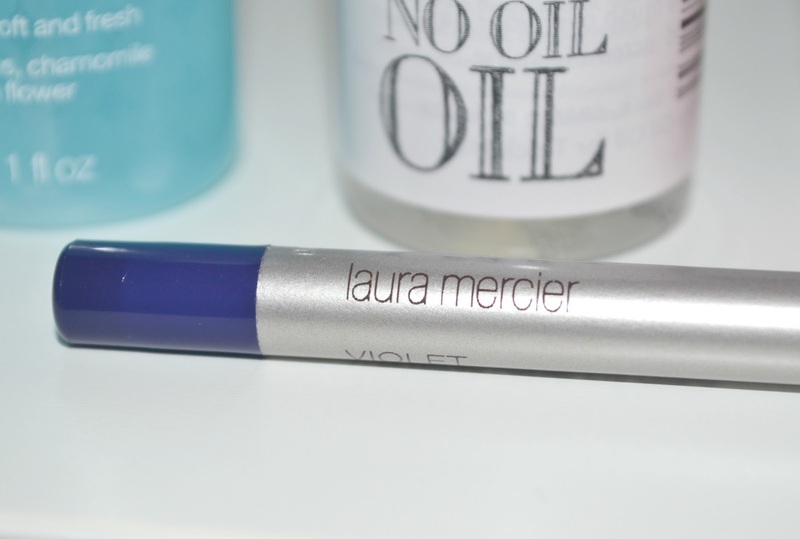 This month's box contained one of three Laura Mercier products- a primer, mascara or eyeliner. If you're subscribed to Birchbox you had the choice of which sample you wanted; mine was a surprise but I got the eyeliner which is definitely what I would have picked anyway. I'd never actually tried the brand up until now but there have been lots of products I've had my eye on over the years so was really happy to get my hands on this; as you'd probably expect it's just beautiful. Smooth to apply with amazing pigmentation, while the violet colour isn't something I'd usually go for I love how it looks and know I'll get loads of wear out of it. 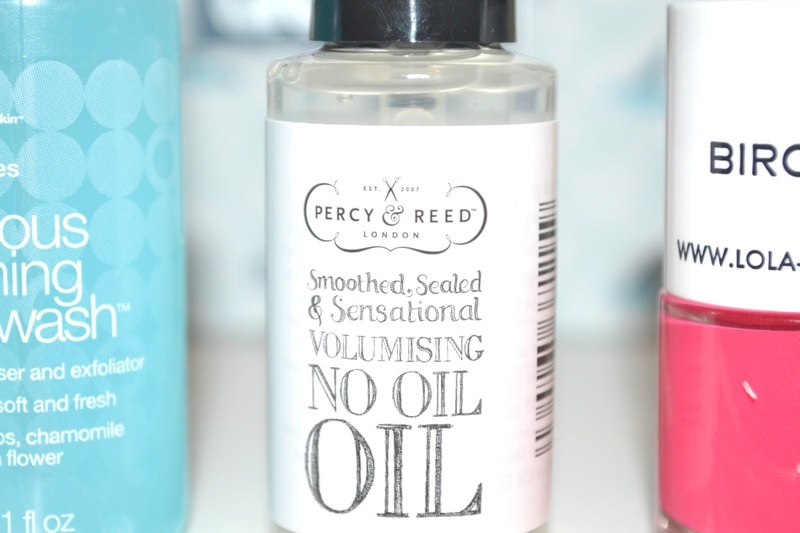 Haircare is one of my favourite things to try out, and so this 'no oil oil' from Percy and Reed was a very welcome addition. It's said to smooth and seal the hair without weighing it down which is exactly the kind of thing I usually choose for my fine and flyaway hair. My first impression if this is that it seemed a bit sticky on my hands from running it through my hair, however this quickly disappeared- almost as if the leftover product evaporated away. It left my hair looking smooth without being greasy or weighed down in the slightest- all in all a huge success! 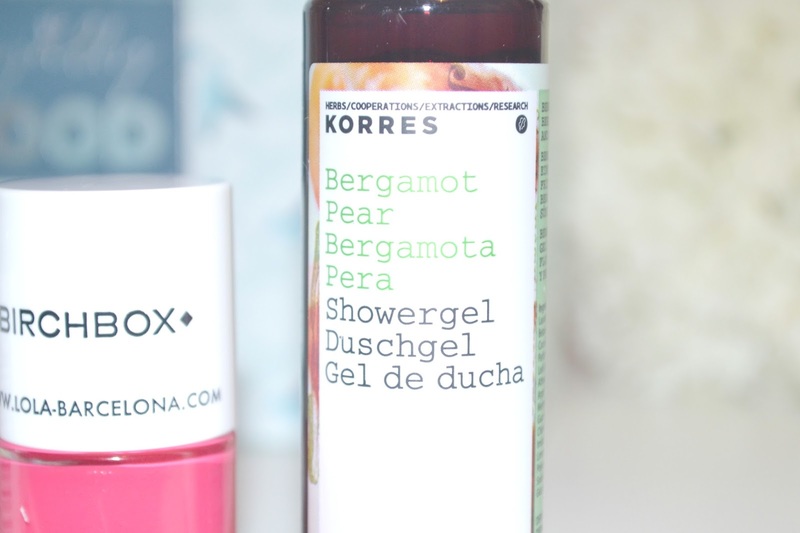 I feel as though this is something that a lot of people would have found a bit boring, but personally I'm a huge fan of trying out different shower gels and so this is one of the products that excited me the most. It has a gorgeous fruity scent, and contains aloe and other lovely ingredients to keep the skin hydrated which I think will be nice over the summer. Despite the packaging of this sample being a little uninspiring, it's an amazing product and I'm actually considering buying the full size (even though it comes at the eye watering price of £19.50). It's a double duty cleanser and exfoliator containing botanical ingredients that are great for the skin. The fine exfoliating grit is really gentle on the skin, and it leaves it feeling perfectly clean and refreshes without stripping out the natural moisture. This has got to be one of the nicest nail polish formulas I've ever tried, it's gorgeously smooth and perfectly opaque in just one coat. It also dries in super quick time too which is also a bonus, my nails felt touch dry in less than a minute which is seriously impressive. Plus look at the bright pink colour- what an amazing shade for the spring and summer! Finally as a bonus item this month there's a pack of vitamins by Inner Me, and I think these are a really nice addition. They contain a blend of energy boosting vitamins and minerals (including B vitamins, vitamins D and C, iron, zinc and more) to promote overall good health. The only downside to these is they're pretty big, if like me you're a bit iffy about swallowing tablets then you're probably going to struggle with these. I can usually manage a regular sized vitamin tablet but these are big capsules so I'm not sure whether I'll end up taking them myself, or passing them onto a friend. Either way I liked that there was a non- beauty addition to the box and I think they're something that most people will get some use out of. This one looks to be the best they've done in a while! I love anything with a Royal theme so naturally I just adore this box. Its one of their best! Oh, wow, this is a really good box!